AAS Restoration& Roofing continues to impact the Kansas City Metro area with their generosity and desire to “give back” to the community that supports them.Children’s Mercy Hospital’s Burn Unit is just one charity that AAS has impacted over the years and continues to support. AAS began holding a Texas Hold’em Tournament as a fundraising event in the fall of 2007. The tournaments were held bi-annually in the spring and fall until becoming an annual event in the fall of 2014. This year’s event was the most successful function to-date with nearly $12,500 raised thanks to the efforts of AAS employees and the generosity of the participants and the sponsors of the event.With this year’s donation, AAS Restoration has presented Children’s Mercy’s Burn Unit with more than $82,000, along with socks, underwear, books and toys for the kids. We are so very grateful to AAS Restoration & Roofing, LLC and everyone who has attended and participated in the annual Texas Hold’em Charity Poker Tournament over the last 11 years to benefit our Burn Unit. 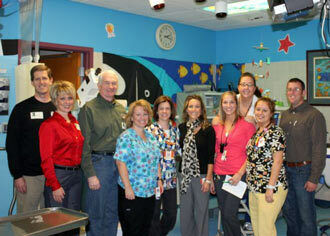 Thank you for being part of our Children’s Mercy family through this heartfelt donation. Every gift allows us to fulfill our 120-year mission of providing the best care possible to all children who come through our doors. AAS plans to continue to benefit these children and their families in their time of need. “Putting Your World Back Together” isn’t just a tag line for AAS; it’s an affirmation of AAS Restoration’s mindset of giving back to the community while setting the restoration industry’s standard in customer service and quality performance. AAS began holding a Texas Hold’em Tournament as a fundraising event in the fall of 2007. The tournaments have been held bi-annually in the spring and fall until becoming an annual event in the fall of 2014. This year’s event is the most successful function to-date with $10,500 raised thanks to the efforts of AAS employees and the generosity of the participants and the sponsors of the event.With this year’s donation, AAS Restoration has presented Children’s Mercy’s Burn Unit with nearly $70,000, along with socks, underwear, books and toys for the kids. We are so very grateful to AAS Restoration & Roofing, LLC and everyone who has attended and participated in the annual Texas Hold’em Charity Poker Tournament over the last 10 years to benefit our Burn Unit. Thank you for being part of our Children’s Mercy family through this heartfelt donation. Every gift allows us to fulfill our 120-year mission of providing the best care possible to all children who come through our doors. In 2018 AAS is planning a spring golf outing along with the fall poker tournament to continue to benefit these children and their families in their time of need. “Putting Your World Back Together” isn’t just a tag line for AAS; it’s an affirmation of AAS Restoration’s mindset of giving back to the community while setting the restoration industry’s standard in customer service and quality performance. 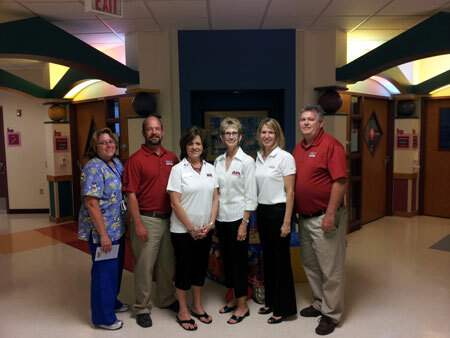 AAS Restoration, Inc. is proud to announce that it presented a check for more than $6,600, on June 18th, 2012 to Children’s Mercy Hospitals & Clinics’ Burn Unit. These funds were raised at the business’ tenth charity Texas Hold’em fundraiser to benefit the Burn Unit. Since the first charity tournament was held in the fall of 2007, AAS Restoration has raised nearly $30,000. “Our staff has adopted CMH’s Burn Unit as a means to give back to the community. I am so proud of the hard work and efforts that each employee puts in to pull off this event twice a year. We chose the Burn Unit because our business is disaster restoration and fires are a big part of that. We know how devastating a fire loss is to a home or business owner, but it is so much worse when a child is involved,” stated Stephen Storts, President. Throughout the year AAS Restoration collects children’s underwear and socks for the burn victims, as well as gently used books which are delivered to the Children’s Mercy’s outpatient clinic program, “Reach Out and Read”. This program promotes literacy among their patients. AAS Restoration, in business since 1982, is based in Kansas City. It specializes in fire, wind, water, and mold remediation and repairs, but also cleans carpet, tile, soft furniture, and sports gear. Visit www.aasrestoration.com for more information. Recently Ethan and Nathan Baldwin, twin 18 year old brothers, had a dream fulfilled by the Dream Factory of Kansas City. Born with Bardet-Biedl, a genetic disorder which can cause several symptoms, including mental disability and renal failure, the brothers have shared a single bedroom their entire lives. Through the Dream Factory both of the young men have gotten their own room and new amenities. AAS Restoration, Inc., a Kansas City-based restoration company, is proud to have played a role in the fulfillment of that dream. Scott Baldwin, the boys’ father, has worked for AAS for nine years. “When Scott approached me with the question of whether our business would be interested in helping to remodel a room in his home to accommodate a second bedroom as part of the his sons’ dream, my immediate response was ‘Of course!’ The Dream Factory is an amazing organization and Scott’s sons are so deserving of being recipients of its outreach,” commented Amy Storts, owner. AAS Restoration provided the labor and building materials needed for the remodeling, while one of its subcontractors, Mike Netherton Custom Cabinets, built a custom bed and a desk for the new bedroom. Crowley Furniture provided additional furniture. (Wood Dale, IL, May 23, 2012) – Disaster Kleenup International (DKI), LLC, North America’s largest disaster restoration contracting organization, today announced that DKI Member Company, AAS Restoration of Kansas City, Missouri, is a proud participant in the popular ABC Series, Extreme Makeover: Home Edition surprising the Whitely & Cogdill families of Joplin, Missouri with the home of their dreams. Extreme Makeover: Home Edition traveled to tornado-ravaged Joplin, Missouri, to celebrate its 200th episode in historic fashion, in what was the biggest build ever for the show. AAS Restoration teamed up with fellow contractors to help build seven homes in seven days for seven deserving families. On May 22, 2011, a catastrophic tornado ravaged the town of Joplin killing approximately 160 people and destroying nearly 8,000 homes. Some of the Joplin families lost friends, some lost children, and all lost their homes. The two families AAS Restoration helped build homes for faced the extraordinarily difficult task of starting over following the storms. Single mom Crystal Cogdill works for the Joplin Housing Authority. She has a passion for helping people find housing, but in a cruel twist, found herself homeless. In the tornado, Crystal lost her 9-year-old son, Zach Treadwell. Upon hearing the sirens, she hustled her kids inside the house and, following her emergency plan, huddled with them in the bathtub. As the home came apart around them, she felt her grip on her children weakening. The storm eventually overpowered her and ripped the kids from her arms. When she next saw Zach, his lifeless body was pinned beneath a utility pole. Before the storm, Crystal Whitely was the ultimate single mother taking care of her three kids and working as a personal care aid. Crystal loved working with her clients that were disabled and elderly, but her kids are her life. The night of the storm, the whole family took cover in the bathtub, but moments later, the house was pulled off its foundation. Though she tried desperately to hang on to them, 10-year-old Shante and 6-year-old Trentan were ripped from Crystal’s arms. Only Crystal and her 4-year-old daughter, Keana, survived. The parents and children from all 7 of the Joplin families had been whisked away on a dream vacation to Walt Disney World Resort in Orlando, Florida, while Extreme Makeover: Home Edition team leader Ty Pennington, designers Paul DiMeo, Paige Hemmis, Michael Moloney and Tracy Hutson, along with Sam Clifton from Millstone Custom Homes who is lead builder for 21 Builders, AAS Restoration and approximately 10,000 Volunteers and community volunteers, built the structures. AAS Restoration assisted by providing drying services, including dehumidification and round-the-clock monitoring and labor, to expedite the drying of the drywall, primer, and paint in the interior and exterior of the home. The episode will air January 13, 2011 at 8pm ET on ABC. AAS Restoration has provided insurance restoration in the Kansas City marketplace since 1982, and has been a DKI Member since 2005. (Wood Dale, IL, October 6, 2011) – Disaster Kleenup International (DKI), LLC, North America’s largest disaster restoration contracting organization, today announced that DKI Member, AAS Restoration of Kansas City, Missouri, was ranked #286 in Qualified Remodeler magazine’s Top 500 Remodelers List for 2011. The Qualified Remodeler Top 500 ranks the Top 500 contracting firms based on revenue. Founded by Qualified Remodeler more than 30 years ago, the Top 500 has become a tradition in the remodeling industry. The list is a comprehensive look at the largest and most accomplished remodeling firms throughout the nation. The Top 500 rankings were published in Qualified Remodeler Magazine’s annual October Issue. With this year being the 34th year that Qualified Remodeler compiled the Top 500 ranking, it is currently the longest established recognition program in the remodeling industry. Stephen Storts, President of AAS Restoration said, “We are delighted to be on the 2011 Top 500 list this year. We have built our success on solid customer relationships and unmatched service. We will continue to support our local community by providing quality restoration and reconstruction services and superior customer service.” “AAS Restoration has established itself as a leader in restoration and reconstruction services throughout the Missouri marketplace. I am very pleased that they are being recognized for their hard work and accomplishments,” said Dale Sailer, DKI president. AAS Restoration has been providing insurance restoration services to the Missouri marketplace since 1982 and has been a Member of DKI since 2005. More than 150 years of combined staff experience in the restoration industry, coupled with IICRC Certified Technicians, makes AAS Restoration one of Kansas City’s most experienced and professionally-trained restoration specialists. AAS is dedicated to serving the Kansas City community. The founding owners established the company in 1982, taking their small-town sensibility and work ethic to set unmatched quality and customer service standards. These standards and quality are the hallmark of AAS Restoration today. For more information please contact (816) 861-1550. AAS Restoration, Inc. will host their annual Texas Hold’em Charity Tournament to benefit the Children’s Mercy Hospital’s Burn Unit on Friday, Oct. 28. The patients in the burn unit dress in street clothes so that they feel more “normal.” The unit supplies socks and underwear for patients as part of their care. You can help by donating new socks and underwear, sizes two through the teen years, for both boys and girls. The younger children play with toys while undergoing water therapy. Toys donated for this purpose should be squeaker-free so water doesn’t get inside. Tub crayons and craft dyes that turn the water different colors are good choices. These items are used as distractions while children receive whirlpool treatment. Toys are constantly needed to keep the patients’ Treasure Chest filled as well. Small items are given to the children after their treatments as a reward for their being brave. Suggestions are Matchbox-type cars, rings, trinkets and similar items. A portion of every entry fee for the tournament is already earmarked for the burn unit. If you are not a poker player, you can still support this worthy cause with the type of contributions mentioned above. AAS Restoration will accept any size monetary donation for the unit, as well as packaged underwear, socks or toys for the treatment room and Treasure Chest. If you can’t join the tournament, but have items you wish to donate, please call Sherry at 816-861-1550. For the eighth time in four years, representatives from AAS Restoration, Inc. of Kansas City, Mo., recently presented a donation to the burn unit at Children’s Mercy Hospitals and Clinics. AAS Restoration raised $4,000 in their eighth semi-annual Texas Hold’em poker tournament held in April, reported co-owner Amy Storts. Since their first charity tournament in the fall of 2007, AAS Restoration has contributed nearly $18,000.00 to the burn unit. In addition to its fund-raising efforts, AAS collects clothing and “treasure chest“ toys for the burn victims, as well as gently-used books for Children’s Mercy’s outpatient clinic program, “Reach Out and Read.” This program promotes literacy among their patients. AAS Restoration will host the next charity tournament in late October. It will be open to the public, but reservations are requested at 816.861.1550. AAS Restoration was recently a sponsor for the second annual Big Slick Celebrity Texas Hold’em Poker Tournament hosted by Children’s Mercy Hospitals and Clinics. 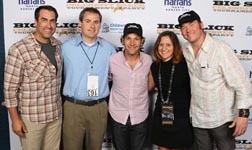 Celebrity hosts of the tournament joined AAS staff members (from left) celebrity Rob Riggle, AAS estimator Rob Lamer, celebrity Paul Rudd, Rob Lamer’s wife Sarah, and celebrity David Koechner. As a sponsor, AAS was given a player’s seat at the tournament that was raffled at the spring Texas Hold’em Tournament to help AAS raise additional funds. The funds were presented to the hospital’s Burn Unit in July. Disaster Kleenup International, LLC, North America’s largest disaster restoration contracting organization, today announced that AAS Restoration, of Kansas City, MO was presented with a 5 Year Recognition Award at the 2011 DKI Awards Ceremony. This award recognizes restoration companies that have been a part of the DKI organization for 5 years. With over 400 service locations throughout the United States and Canada, DKI provides quality emergency and reconstruction services, 24 hours a day, 365 days per year. DKI can also assist with developing an emergency response plan for a facility to ensure a business has minimal downtime if a disaster were to strike. The ceremony took place on Tuesday January 25, 2011, after Insights 2011: The Property Restoration Conference and Tradeshow concluded in San Diego, CA. Dale Sailer, president of DKI, presented the awards. Disaster Kleenup International, Inc., North America’s largest disaster restoration contracting organization, today announced that Bruce Storts, the President of AAS Restoration, a DKI Member Company, is retiring at he end of December, 2010, after more than 26 years with the company. Storts has been in the restoration industry and owned AAS Restoration, Inc. since 1984. He will remain a Board Member and continue serving as CEO of the business. Furthermore, he will serve as a consultant to the company when necessary. His wife will continue in the business as the owner and Director of Administration. Bruce’s son, Stephen Storts, CR, will succeed as President of AAS Restoration, Inc. Stephen has worked for the business since 1993 and has gained experience at every level from Laborer to Production, to Estimator, and Director of Operations. Stephen was in the U.S. Navy for four years after graduation before joining the family business. He was stationed on the USS Worden during the 1st Gulf War. He has been and will continue to be the company’s representative for DKI and serve on the ethics committee for the Midwest Chapter. More than 60 years of combined staff experience in the restoration industry, coupled with IICRC Certified Technicians make AAS Restoration one of Kansas City’s most experienced and professionally trained restoration specialists. AAS is dedicated to serving the Kansas City community. The founding owners established the company in 1982, taking their small-town sensibility and work ethic to set unmatched quality and customer service standards. These standards and quality are the hallmark of AAS Restoration today. For more information please contact (816) 861-1550. Recently, representatives from AAS Restoration, Inc. of Kansas City, MO, presented a donation of more than $4000 to Children’s Mercy Hospitals and Clinics. These funds were raised at AAS Restoration’s seventh Texas Hold’em poker tournament, a charity event specifically hosted to raise funds for the Hospital’s burn unit. Over the past three and a half years, AAS Restoration has contributed more than $13500 to the Burn Unit. In addition, AAS has collected new socks and underwear for the burn patients as well as gently used books for Children’s Mercy’s outpatient clinic program, “Reach Out and Read”. AAS Restoration will host their next charity tournament in the spring of 2011. It will be open to the public, but reservations are requested at 816.861.1550. Merger Forms AAS Restoration, Inc.
(Wood Dale, IL, June, 2009) – Disaster Kleenup International, Inc., North America’s largest disaster restoration contracting organization, today announced that DKI Member Company Missouri Contracting & Cleaning, Inc. and AAS Cleaning Systems, LLC have merged to form AAS Restoration. In an ongoing effort to provide better service to their customers, AAS Restoration has determined that this merger will eliminate any confusion over the services offered by these two companies and, at the same time, will better pool their expertise. They will be operating under the new name, AAS Restoration, Inc., but there will be no change in management; AAS Restoration will continue to provide the same great services on which they have built their reputation in the restoration and cleaning industry. “In actuality, this merger seems like a natural move since the ultimate goal of our two companies is the same: to help homeowners and business owners recover from a disaster,” says Bruce Storts, President of AAS Restoration. Missouri Contracting & Cleaning, which has been in business for more than thirty-five years, has been known for its complete line of reconstruction services, along with its commitment to quality and timely service. AAS Cleaning Systems, which has been the Kansas City metro region’s answer for contents cleaning, water mitigation and fire damage losses, has been in business since 1982. The craftsmen and the technicians, all of whom have been certified in the latest technologies, will remain the same, and restoration services will continue to be available 24 hours a day, 7 days a week. Storts continued, “We are very excited about our merger and believe that with both businesses under one entity, customers will find our quality, dedication, and services to be second to none. KANSAS CITY, MO – When Kevin Kietzman, sports director and show host on 810 sports radio in Kansas City, was complaining on air about the stench he could not get out of his favorite pair of new tennis shoes, Dorene Henry, marketing rep for AAS Restoration, Inc., knew her company could solve his dilemma. She immediately contacted Kietzman and then visited him at a live broadcast on the Plaza. Dorene asked for his “stinky” shoes and the opportunity to show him that AAS Restoration could remove not only the stench, but also 99.997 percent of the bacteria that was causing his problem. Kietzman was intrigued and allowed Dorene to put her company’s Esporta Wash System to work on his shoes. Kietzman’s shoes were tested prior to cleaning. The outside of Kevin’s shoes tested at 400 RLU (Relative Light Units); the inside at 280 RLU. RLU is the method industries use to measure the amount of bacteria on a surface. Both the food safety industry and the health industry use RLU when looking for MRSA and STAPH (<10 RLU is considered food-safe; <50 RLU is sanitary for non-food items). The Esporta Wash System uses hydraulic pressure to force bacteria, smoke, soot, mold, and even sewage contaminants out of items. Its patented design features “safe hold” compartments for holding delicates, leathers, bulky items, and what is known as Category 2 and Category 3 soiled laundry. The Esporta can disinfect, deodorize, and wash up to 160 pounds of laundry, shoes, helmets, boxing gloves, pads, and other bulky goods during one cleaning cycle. “Parents and administrators have very real concerns about MRSA and STAPH infections from equipment that up to this point has been difficult to clean and sanitize,” claims Dorene. “The Esporta Wash System now offers a real solution that is proven to be effective and is available locally. Having children in sports myself, I am relieved to know this System is so effective, and my goal is to get as many schools as possible to use it,” Dorene continued. In an effort to do just that, she called on Tim Grunhard, former Kansas City Chief’s player and current athletic director of Bishop Miege High School. AAS Restoration, Inc., which is located in Kansas City, Missouri, has been serving the restoration needs of the Metro Area for more than 27 years. Now it has added sports gear cleaning to its services and is the Midwest’s only licensed provider of the Esporta Wash System. For further information on the Esporta Wash System, or for a free demonstration, please contact Dorene Henry, Marketing Representative, at 816.719.4790. (Wood Dale, IL, March 8, 2010) – Disaster Kleenup International, Inc., North America’s largest disaster restoration contracting organization, today announced that AAS Restoration, previously AAS Cleaning Systems, based out of Kansas City, Missouri was ranked #1 by the Certified Contents Restoration Network (CCRN) greatest savings for insurance companies for the month of April, 2009. AAS Restoration is proud to be a member of the Certified Contents Restoration Network (CCRN). To qualify, AAS’ staff has been trained and certified to restore smoke, soot, water, and even sewage-contaminated soft contents and laundry. CCRN members undergo a strict certification process to ensure the safety and satisfaction of all parties involved – most importantly the policyholder. The equipment, supplies, and processes used by CCRN have proven in independent laboratory studies to clean, restore and remove organic and non-organic contaminants. “AAS Restoration saved insurance companies $105,570.01 on textiles that would have been replaced if not for the Esporta wash system and our highly skilled technicians,” said Bruce Storts, President of AAS Restoration. CCRN’s Certification Board ensures that AAS Restoration has the correct equipment and supplies to produce a finished product that meets CCRN’s high level of standard. This requires that AAS obtain the same equipment as those which have been used in the independent laboratory studies. The fundamental piece of equipment, the CCRN Certified Esporta Wash System, enables AAS Restoration to produce these proven results. CCRN certified cleaning is the only way to guarantee that your smoke, soot, water, or sewage-impacted soft contents and laundry are restored, cleaned, and disinfected at the highest level of standard. If you have experienced a fire or water loss, make sure that your possessions are restored using AAS Restoration’s top quality and certified techniques. Disaster Kleenup International, Inc., headquartered in suburban Chicago, is the largest disaster restoration contracting organization in North America. DKI member companies provide full service restoration to their customers: emergency response, water damage mitigation, fire and contents cleaning, mold remediation, complete reconstruction and much more, 24 hours a day, 365 days a year. DKI members return damaged property to its pre-loss condition quickly and efficiently, delivering complete satisfaction to our consumer, insurance, and corporate customers. For more information about Disaster Kleenup International, Inc., visit our website at www.disasterkleenup.com or contact Michele Donahue at (630) 350-3000. (Wood Dale, IL, March 8, 2009) – Disaster Kleenup International, Inc. North America’s largest disaster restoration contracting organization, today announced that DKI member company, Missouri Contracting & Cleaning, is celebrating its 35th anniversary of serving the restoration needs for the Kansas City metro area and surrounding communities. When the current owners, Bruce and Amy Storts, first started providing restoration services to the Kansas City area, they had a staff of four co-owners, two trucks, and were hand-writing estimates on yellow notepads. Missouri Contracting has evolved from a four-person staff conducting business in a one-room office, to employing 20 people housed in a 17,000 square foot facility designed for greatest efficiency specific to the restoration business. Missouri Contracting and its sister company, AAS Cleaning Systems, also owned by the Storts couple, work closely together to rebuild and repair property damage, as well as clean damaged contents. When people experience a catastrophic loss to their home or business, it is very devastating to them emotionally and financially. Missouri Contracting employees know that it’s their job to make the rebuilding process as stress-free as possible. The business is built around providing a complete line of reconstruction and cleaning services, quality work, and peace of mind for those in need, while working within insurance policy parameters. Disaster Kleenup International, Inc., headquartered in Wood Dale, IL, is the largest disaster restoration organization in North America. DKI member companies provide full service restoration to their customers: emergency response, water damage mitigation, mold remediation, complete reconstruction and much more, 24 hours a day, 365 days a year. DKI returns damaged property to its pre-loss condition quickly and efficiently, delivering complete satisfaction to our consumer, insurance, and corporate customers. For more information about Disaster Kleenup International, Inc., visit our website at www.disasterkleenup.com or contact Dan Cassara at (630) 350-3000 x254 or email at dcassara@disasterkleenup.com. KANSAS CITY, MO – Missouri Contracting & Cleaning, Inc. has been serving the Kansas City restoration industry for 25 years, beginning in April 1984. “Since we began our restoration and cleaning business, we have seen some really significant changes,” states Bruce Storts, President and CEO. “Technology has made the most considerable impact on how we do business,” Storts continued. When the current owners Bruce and his wife Amy first started providing restoration services to the Kansas City area, there was a staff of four co-owners, two trucks, and hand-written estimates on yellow notepads. Now everything from estimates to billing to communications is computerized. Sophisticated phone systems, software programs, equipment, and tools specific for the restoration industry are a daily part of the company’s efforts in helping home and business owners “put their world back together” after a loss due to water, wind, fire, or mold. Although they are two separate companies, systems are set up so that Missouri Contracting and AAS Cleaning Systems provide seamless, turn-key operations when it comes to taking care of the customer. Just one phone call to either Missouri Contracting or AAS Cleaning puts their entire team of restoration professionals to work. What this means to property owners is that they can be assured everything will be taken care of, whether their loss is a result of broken pipes, kitchen fire, tornado, flooded basement, smoke and soot damage, or mold. Both businesses are located in Kansas City, Missouri and serve the Kansas City Metro Area and surrounding communities.